What really happened in the death of Supreme Court Justice Antonin Scalia? Glenn Beck Said God Killed Scalia? February 19, 2016 admin Big Brother News, Crime & Coverups, Crime Watch, Latest News, news, News On The Edge, News Updates, Opinion, Politics, World News Comments Off on What really happened in the death of Supreme Court Justice Antonin Scalia? Glenn Beck Said God Killed Scalia? What really happened in the death of Supreme Court Justice Antonin Scalia? With the United States deep in the throes of the 2016 presidential primaries, the sudden death of Supreme Court Justice Antonin Scalia has provided a controversial backdrop to an already tense electoral race. Reports state that the 79-year-old conservative justice was found dead this past Saturday in his hotel room at Cibolo Creek Ranch, a luxury ranch located in Presidio County, Texas. One of the most troubling aspects of Scalia’s death, aside from lack of an autopsy being performed or that Presidio County Judge Cinderela Guevara pronounced the manner of his death over the phone without being present. Later, Guevara appears to have reversed her previous statement claiming that Scalia had died of a ‘heart attack’, revising the cause of death to “natural causes”. Resort owner and Democrat Party financier John Poindexter pictured with President Obama. It should also be noted that the resort owner, John Poindexter, is a prominent Democrat Party donor and Obama Award Winner. We’re told that Poindexter was among those who initially discovered the Justice’s body, and who then coordinated with local officials to have Justice Scalia declareddead via a phone conversation with the area medical examiner – but without an actual medical examination of the body. Mr. Poindexter was said to be the primary point of communication between the ranch location and federal authorities – who were somewhat slow to arrive on scene. With the Clean Power Plan looming, there are several upcoming and potentially historic Supreme Court cases that could be impacted by Scalia’s death. Many questions still remain in the death of Supreme Court Justice Antonin Scalia – which will no doubt prompt speculation well into the foreseeable future. “Scalia’s physician, Brian Monahan, is a U.S. Navy rear admiral and the attending physician for the U.S. Congress and Supreme Court. 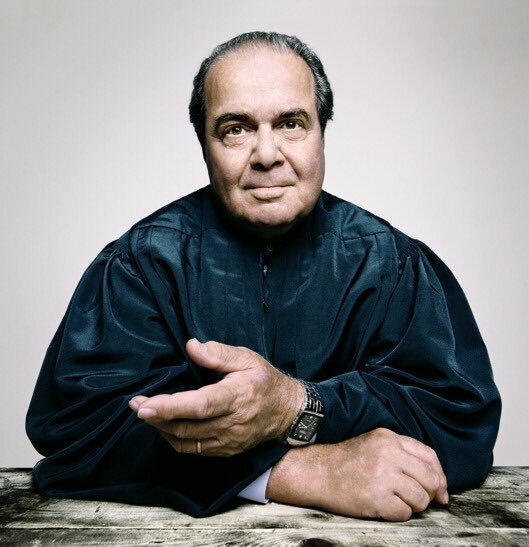 He declined to comment on Scalia’s [prior] health when reached by telephone Monday at his home in Maryland. As long as no law-enforcement investigation of Scalia’s death is launched, the doctor is justified. Confidentiality applies, unless Scalia’s family lifts it. But if such an investigation is opened, all bets are off. Confidentiality no longer applies. There are reports that, after Scalia’s body was transported from the celebrity ranch in Texas, closely guarded and shielded by a bevy of marshals, it was rapidly embalmed. If so, that would apparently make toxicological tests far more difficult or impossible. As for a murder motive, try: upsetting the voting balance of the US Supreme Court. Try: a push to appoint a new Justice now, thus ensuring the appointee’s political persuasion, regardless of the outcome of the 2016 Presidential election.